I've finally come to a point in my life where I've fully accepted, and even feel at peace with, the fact that I might just be alone. Like forever. It's not that I'm totally undateable, although I'll be the first to admit that I have many, many faults. It's just that I have this thing. The thing is that I love my solo time. I can't seem to get enough of it. No, like really, I even spent 6 months travelling alone and still couldn't get enough of it. It's not that I don't like other people, either. I have many friends. I love to socialize. I love to share a laugh. A good, deep, meaningful convo. A silent moment with a knowing smirk. A romanticized dinner for two over candlelight. A connective stare with a stranger. Really, I do like other people. It's just that, somehow or another, I feel the least alone when I'm, well, totally and utterly by myself. 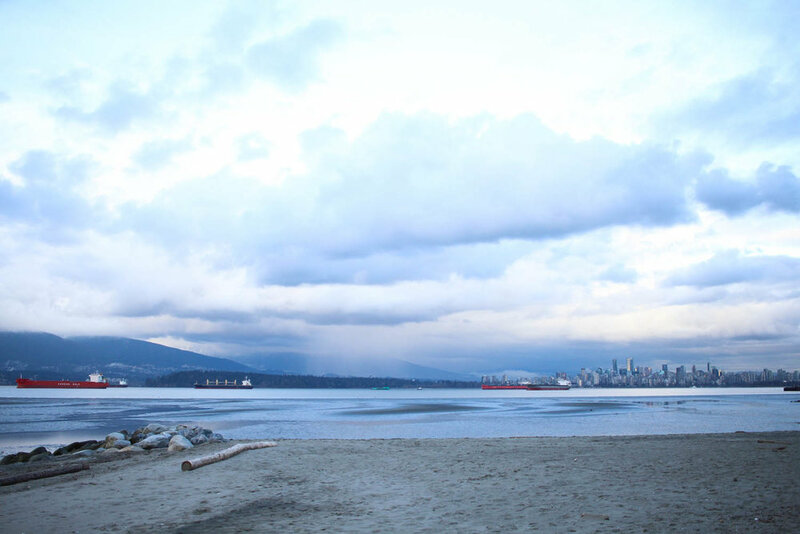 My solo time at Spanish Banks, Vancouver – one of the best beaches here, for sure – reminded me just how much I love to sit near the ocean, all my lonesome, and think about life. My life. My past. My future. Maybe I'm a narcissist or maybe I'm an alien who was never really meant to live on earth. And I'm proposing that all of us loners, all of us living on the fringes – either physically or emotionally – stand up for the strong, self-sufficient people we are. We aren't codependent. We aren't lonely. We aren't waiting to be saved. But the best thing about being a loner? We get to love ourselves, the most. Always.